One can’t blame Canadian cannabis entrepreneurs and investors for feeling a bit motion sick from turbulence, while waiting to see where different layers of government will land on key policies. Unfortunately, you can’t completely blame Ottawa for the hurry up and wait antics. Canadians are simply experiencing legalization through a “parliamentary” process, rather than through an electoral ballot process, like in the U.S. The ballot-measure/electoral process in Colorado and six other U.S. states begins with a well-defined set of rules. If voters approve them, then most of the work is already done. Nothing in cannabis legalization is easy, but this system gives U.S. lawmakers and regulators a much easier job by defining 80 per cent of the rules with a single vote. Canadian government officials, entrepreneurs, investors, and licensed producers may look longingly to these states for clues about how legalization would roll out in Canada. Those individuals would do better, however, to look toward lesser-known jurisdictions, like Vermont. Vermont’s process is legislative, similar to Canada’s – and the state still has not fully agreed on ideas about what should be legal, how much, or how it’s produced, consumed, or distributed. For such a controversial issue, it is no wonder progress is slow – lawmakers have long-standing convictions on the matter, and lobbyists exert power during every step of the way. The result is a “compromise,” “delay,” and “fear of failure” approach to legalization. For example, Canadian parliament chose to delay legalization of high-potency and edible products, thinking that it would be safer and easier to adopt an incremental approach. While this sounds reasonable, unfortunately, it is fraught with risk. Consumers still clearly demand concentrates and edibles, so that banning them risks creating a potentially large illicit market, rather than eliminating one. The first low-budget, suburban butane hash oil explosion has the potential to undo any goodwill that was fought to obtain in Ottawa in the name of public safety. Similarly, investors in Ontario are on their heels after a decision to distribute cannabis exclusively through the province’s LCBO outlets. 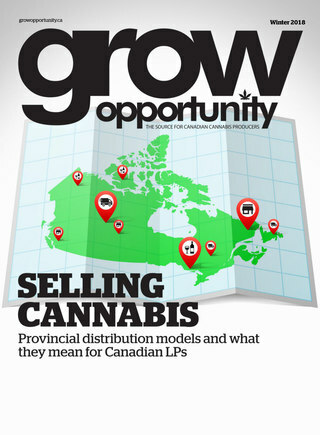 While everybody knew this was a potential policy choice at the provincial level, it differs greatly from what most current cannabis businesses understand, and from the models currently in effect in the U.S.
organizations or brother-in-law ownership licences. The other option is “all out,” which includes to completely waiting until the dust settles. This strategy can be useful for those investors who enjoy picking up “failing” firms and turning them around. There will be plenty of individuals and firms who get caught on the wrong side of the policy. Those distressed companies could be bought or revived more efficiently after the major waves have crashed, allowing for smooth sailing to the patient and savvy investor. While most observers of Canada’s legalization process find interest in it because it’s the first OECD sovereign nation to fully legalize cannabis. It almost goes without saying that there are aspects of the Canadian market that make it a safer investment than in the U.S — namely national-level legalization. Whatever your interest in this market is, the cards will fall over time and there is no doubt we will look back at these times as the times to remember.